Hi there! 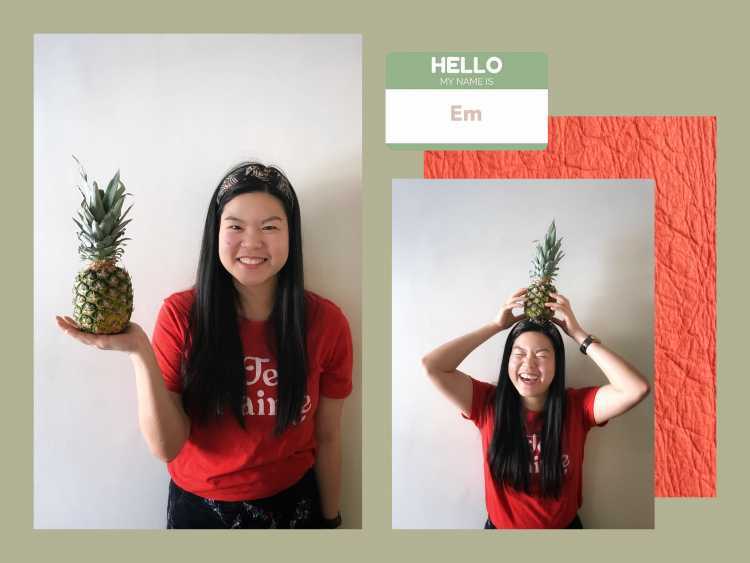 My name is Em and I work as a Sales + Marketing Manager for Ananas Anam. I am originally from Manila in the Philippines but I have been living in London for the past year finishing my MBA in International Fashion Management in Coventry University London and doing a dissertation about transparency and sustainability in supply chains. What does Piñatex® mean to you? As someone from the Philippines, our traditional clothing is made out of pineapple fibres so I was already aware that we can use it to make clothes. However, what I was not aware of is that it can actually be made into some other kind of textile as well – a sustainable alternative to leather. This is why to me, Piñatex® is such a mind blowing innovation that can really have the potential to revolutionize the fashion industry. For me, Piñatex® is about giving customers a choice. What’s your personal everyday sustainability hack? I try to walk everywhere that can be reached within 50 minutes on foot. This is why I love London! It is such a walkable city. I also don’t use the dryer which not only allows me to promote energy conservation but help reduce CO2 emissions as well. © 2017 Ananas Anam. All rights reserved. Website by Jory & Co.